Linda Rush and Benny Petersen of McPherson, Kan., and Ronda and Danny Peterson, Fort Scott, Kan., announce the engagement of their children, Misty Petersen and Dusty Peterson. The bride-elect is a 2004 graduate of McPherson High School, McPherson. She graduated from Butler Community College, El Dorado, Kan., in 2006, with an Applied Associates of Science in Engineering Technology. She is currently attending Pittsburg State University, Pittsburg, Kan., pursuing a degree in commercial graphics. The groom-elect is a 2005 graduate of Fort Scott High School, Fort Scott. He attends Pittsburg State University and will graduate this may with a bachelor's degree in mathematics. He will be employed as a graduate assistant of mathematics in fall 2008. 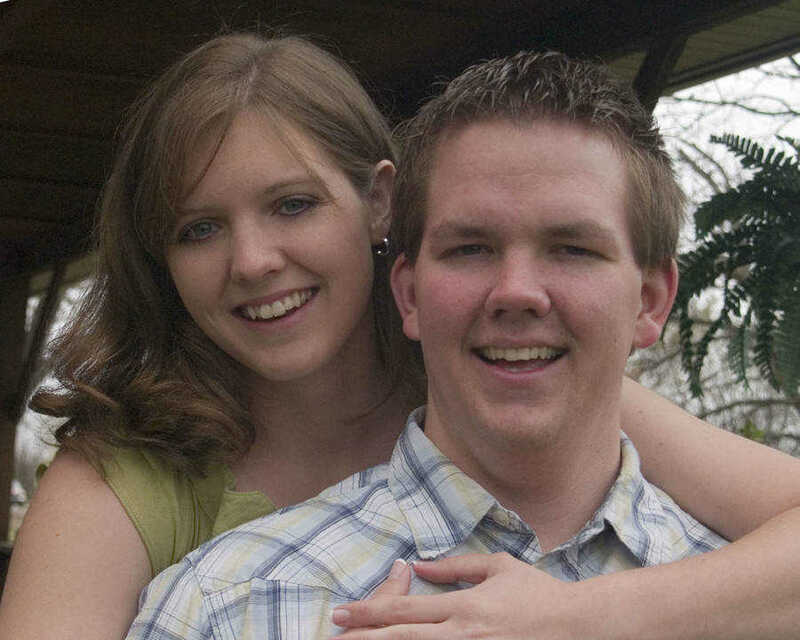 The couple will be married on Dec. 6, 2008, at First Church of God, Fort Scott.